Following the collapse of the Soviet Union and Kazakhstan’s independence in 1991, the religious sphere in this country has seen a major revival as people became free to believe in any religion or not to believe in any. After nearly two decades, in 2011, the Kazakhstan government decided it was time for a more thorough regulation and oversight of the religious situation. In an exclusive interview with the Astana Times, Kairat Lama Sharif, chairman of the Agency of Kazakhstan for Religious Affairs, explains the reasons for his agency’s existence and expounds on its priorities and methods of operation. The constitution of Kazakhstan allows the belief or disbelief in any religion. So what is the need for the establishment of the Agency for Religious Affairs? In accordance with the provision of the Basic Law of our country, freedom of conscience is an absolute right of every citizen and cannot be restricted under any circumstances. However, the basic regulatory principles of the state policy in the sphere of religion are enshrined in the Law of the Republic of Kazakhstan On Religious Activity and Religious Associations, which was adopted in October 2011. As you know, our agency was established on May 18, 2011 in accordance with the Decree of the President of the Republic of Kazakhstan On Agency for Religious Affairs of the Republic of Kazakhstan. According to this decree, the agency has been designated as the legal successor to the obligations of the abolished Committee on Religious Affairs of the Ministry of Culture of the Republic of Kazakhstan. Back in 2009 President Nursultan Nazarbayev suggested establishing the Agency for Religious Affairs at the session of the Assembly of People of Kazakhstan in order to suppress activities of pseudo-religious organizations. The decision on establishing the Agency for Religious Affairs in the status of a separate state body was adopted by the head of state due to the fact that the processes in the sphere of religion have gained strategic importance for public and even national security. On one hand, the positive role of religion in public life have undoubtedly increased, but at the same time, the negative side effects related to the penetration of destructive religious movements into the country, which threaten the stability and forward development of our society, has increased as well. As a result, there was a need for more active participation of the government in regulation of the processes that occur in the religious field. To do so, the Agency for Religious Affairs was established, which sees its mission as coordinating interaction between the government, religious groups and civil society for further promotion of peace and harmony in Kazakhstan. For this purpose, the agency utilizes a range of legal and organizational tools. What challenges does Kazakhstan face in the development of a multi-religious, but stable society? First of all, these are the challenges of a globalizing world, and they are faced by almost all other nations of the world. These challenges are associated with the spread of international terrorism and extremism from pseudo-religious organisations, the anti-human destructive activities of radical religious movements and cults and organized crime on the part of pseudo gangs. Problems associated with propaganda in the form of the active involvement of individual members of other religious faiths should be considered one of the challenges of a multi-religious world. We also have to prevent the erosion of the spiritual traditions and principles of society that make up the overall identity of the people and, ultimately, the identity of the state. How does the agency handle the examination of religious writings? What criteria define texts as extremist. Does the agency have a list of criteria used by the agency and its experts? In the activities of the Agency of the Republic of Kazakhstan for Religious Affairs, the examination of religious literature and informational materials occupies a significant place. In general, proper examination of religious texts allows us to erect a barrier against the influx of extremist religious literature into our country. For this reason, the agency created a new system of implementation of theological examination of texts based on six norms and legal acts containing standards and rules, stages and mechanisms for the organization. So far, the agency has examined 4,344 religious books and other informational materials. One hundred forty-eight of those were determined to have negative content. The agency is currently examining an additional 1,923 religious texts. In general, determinations about religious content are made by experts in the field of religious studies. Representatives of various government agencies also assist when necessary. The responsibility of the religious experts is to compile accurate and impartial opinions on the content of religious materials. However, in order for the result of the study to be objective, the experts must apply the appropriate set of questions to the text. The following evaluation reference points are applied in the examination of texts: appeals for the use of violence to change the basis of the constitutional system and violations of the integrity of the Republic of Kazakhstan in the materials; negative emotional evaluations and negative attitudes towards any ethnic, racial, religious or social group; appeals directed toward the promotion of exclusiveness, superiority or inferiority of individuals on the basis of their social, racial, national or religious identity; appeals for actions that encroach on the rights and legal interests of citizens. It should be noted that religious texts are examined within the context of Kazakhstan’s status as a secular state. What countermeasures does the agency take against the destructive movements that distribute these materials?? Activities to counter destructive movements are a key role of the agency. The agency carries out a set of practical measures to protect our citizens from the effects of religious and pseudo-religious movements and combats the spread of radical religious ideology and extremism. In this direction, the agency participates in the development of the state programme on combating religious extremism and terrorism. The agency also organizes comprehensive awareness-raising work among the population. A team within the agency also works to clarify state policy relating to religion, to promote national traditions and the spiritual values of the people of Kazakhstan and to expose the dangers of radical ideas. To this end, the anti-propaganda team in 2012 conducted 3,450 events, which reached more than 218,000 people. And in the first quarter of this year, they held about one thousand multi-format events involving more than 100,000 people. Also, there are comprehensive plans to publish in the media materials aimed at strengthening inter-confessional and inter-religious harmony and to disclose the content of various destructive religious movements. So far, the agency’s team has published 510 articles and interviews in the mass media. Since the beginning of this year, the agency has conducted three international and six domestic forums on the following themes: “Religion and a Woman” in Almaty, Atyrau and Kokshetau, “Tablighi Jamagat is a Destructive Movement” in the Zhambyl region; conference “Youth and Religion” and the youth event “Youth Against Extremism” in Atyrau, the conference “Islam is Against Terrorism” in Kokshetau, “Takfirizm is one of The Most Dangerous Species of Religious Extremism” in Zhezkazgan, “Islam and Jihadism” in Aktau, the international conferences “Freedom of Religion in the Republic of Kazakhstan,” “Kazakhstan is our Common Home” and “Role of Religions in the CIS (Commonwealth of Independent States) countries” in Astana. By the end of the year, significant events will also be carried out in different regions of the country aimed at consolidating efforts towards the spiritual and moral education of the young generation and combatting various threats from destructive religious movements. Under the auspices of the agency, 14 regional centers have been operating this year to help victims of destructive religious movements. Work has also been conducted to increase the literacy on religious issues of law enforcement and defense agencies, as well as certain correctional institutions. In general, the Agency for Religious Affairs will continue its comprehensive work on improving cooperation between state and religious associations, strengthening interfaith harmony and combatting destructive movements. Is the Agency for Religious Affairs involved in the preparation of clergy for different religions, their licensing and certification? How has been this issue settled? According to the above-mentioned principle of a secular state, which means that there is the separation of the state and religion, the agency does not prepare clergy. The Ministry of Education and Science licenses educational institutions, including ecclesiastical (religious) educational organizations operating in the country. This issue is regulated by relevant regulatory legal acts, which govern this direction of activity of the authorized body in the field of education. You have served as an Ambassador of the Republic of Kazakhstan to Saudi Arabia and in Kuwait. 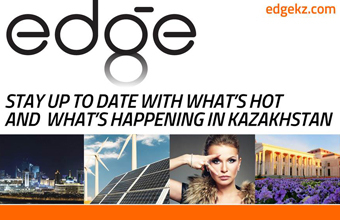 How does your experience in those countries influence your assessment of the situation in Kazakhstan? I am thankful to have had such rich experiences, to have had the opportunity to work in foreign countries, to study their history, culture, political and spiritual life. My career in the diplomatic field allows me to have a broader perspective on the problem, to look systematically through the prism of geopolitical processes as well. In addition, my experience in the Arab world and my knowledge of the Arabic language allows me to study Islam, the largest religious group in our country based on original sources, and it in turn helps me in my work to understand and to analyse the situation more deeply at the level of values and mentality. It’s no secret that from the first days of independence, we have considered Saudi Arabia an important partner in the Arab and Muslim world. Our countries cooperate in the humanitarian and religious spheres, including the organization of the Hajj, providing religious education and the establishment of contacts between clergy and other spheres. We are carefully studying the situation with Islam and the specific regulation of religion issues in the Arab world. But along with this, we should understand that each state has its unique circumstances. I am convinced that copying the actions of foreign countries, and especially the direct transfer of foreign models of interaction between the state and religious communities, may not always be correct. Each country has its own historical heritage, specific mentality and political culture. Therefore, the use of foreign experience is possible only through the prism of our national interests, taking into account the traditions, culture and spiritual life of Kazakhstan’s society. What are some additional roles played by the Agency for Religious Affairs? For example, does the agency conduct any work in social media? Since the establishment of the agency, we have focused our activities on addressing the key challenges affecting the spiritual security of the country. The timely adoption of effective measures taken in the framework of existing law has allowed us to create a solid institutional framework for the implementation of state policy in the sphere of religion and to achieve the goals set by the head of state. At this point, the agency’s work on the prevention of religious extremism and terrorism is active and based on analytical and advocacy work. In particular, guidelines for the coverage of events related to religious extremism and terrorism are developed for the media. Events are also organized to increase the religious literacy of law enforcement officers. Particular attention is also paid to the prevention of religious extremism among those detained in the penal system and specific measures are implemented in the Committee for Criminal Correctional System to combat the spread of radical religious movements. Drafts of Protocol of Cooperation between the agency and Dianet Turkey (the Presidency of Religious Affairs of Turkey) and a Memorandum of Understanding between our agency and the General Agency for Islamic Affairs and Awqaf of the United Arab Emirates are also under negotiations. The agency is also in dialogue with international and human rights organizations on issues of state policy in the sphere of religion. The Agency together with the OSCE (Organization for Security and Cooperation in Europe) Centre in Astana and the Regional Office of the UN High Commissioner for Human Rights also held roundtable discussions on the implementation of the law “On Religious Activity and Religious Associations” in October last year. Another question that is important for the spiritual safety of our society is the monitoring of religious resources on the Internet to restrict religious extremist and terrorist groups. In the context of this work, in 2012 alone, more than 1,900 sites from 45 foreign Internet sources containing illegal materials were identified and judicial decisions concerning their availability were taken. During the first quarter of 2013, the agency has analyzed the content of 500 sites. Of these, 20 foreign Internet sites were determined to contain destructive materials and were forwarded to prosecuting authorities.